It’s a new year! Time to kick off those New Year’s resolutions, begin those home reorganization projects and plan the family vacations for the year! In our house, starting in January, we start to map out where we want to vacation that year. Maybe it is because of the cold we want to escape, or the new round of vacation days in our employee benefit package, has us searching the Internet for places to go as soon as the ball drops. 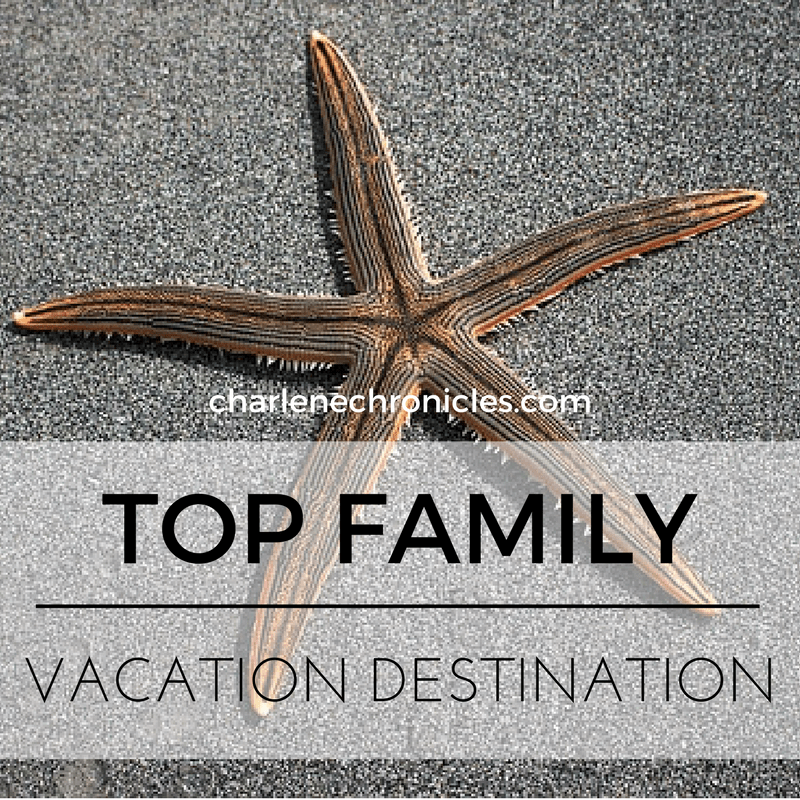 With a two year old and a five year old, our vacation options are rather limited though. We could do many staycations or local long weekend getaways, but we often want to get away to some place warm! Plus, by the time we pack up all the things our young kids need, we really want to make a vacation WEEK to justify all the time it takes to get ready to go! Disney World, of course, is our top destination. There is so much to do whether you want to be active or non-active, culitinary or cultural, want the sun or the shade, or if you are 2 or 62. We go a few times a year, but the hubby has been begging to go somewhere where he can relax. I used to just stare at him as if he was crazy because where in the heck can that happen on a family vacation with two kids under the age of 6? Well, I finally found it. I was invited to a blogging conference at a resort in the Caribbean last October. It was a whirlwind trip. I arrived on a Thursday night and left on a Sunday morning. In between my arrival and departure, I was in a conference all day on Friday and most of the day on Saturday, so I never was able to get in a pool or go to the beach, do any water sports or activities, but in the 4 hours I got during on my final day, to walk around in the sun at the resort and talk to the people that worked there, I realized I had found what my husband has been looking for. If it sounds like what you have been looking for, read on! I went to the Beaches Resort at Turks and Caicos back in October for three days. When I was invited to a Beaches Moms Blogging conference there, I had to look up where Turks and Caicos is located, as I only had a general gist of its whereabouts in the Caribbean. So where is Turks and Caicos? It is above the Dominican Republic and to the right of the Bahamas. It is about a five-hour flight from New York/Boston or a 90 minute flight from Miami. It’s a grouping of several islands overseen by the British, and the Beaches Resort is on the Providencales Island. The Beaches Company has three Beaches resorts in total: one on Turks and Caicos and two in Jamaica. They are specifically geared for families, compared to their parent company ‘Sandals Resorts’ that are for couples only (no kids allowed). There are 15 of those throughout the Caribbean. I say ‘parent’ company, because the Sandals Resorts are how it all got started. After many people have a honeymoon at a Sandals Resort, well, you know the saying, “First comes love, then comes marriage, then comes the little baby carriage.” So the Beaches Resort concept was, errr, born to provide that luxury, all-inclusive vacation that (later on) kids could enjoy too. The Beaches “Turks and Caicos” Resort is the biggest of the three Beaches Properties with the most restaurants, pools, beach front, bars, and room options compared to the Beaches Resorts in Jamaica. It is also the easiest to get to from the airport, which is a consideration if you are traveling with young kids. Yet, personally, I’m looking forward to trying them all and comparing them for you one of these days! So how does a Beaches Resort vacation compare to a vacation to Disney World or a cruise? Read more here!